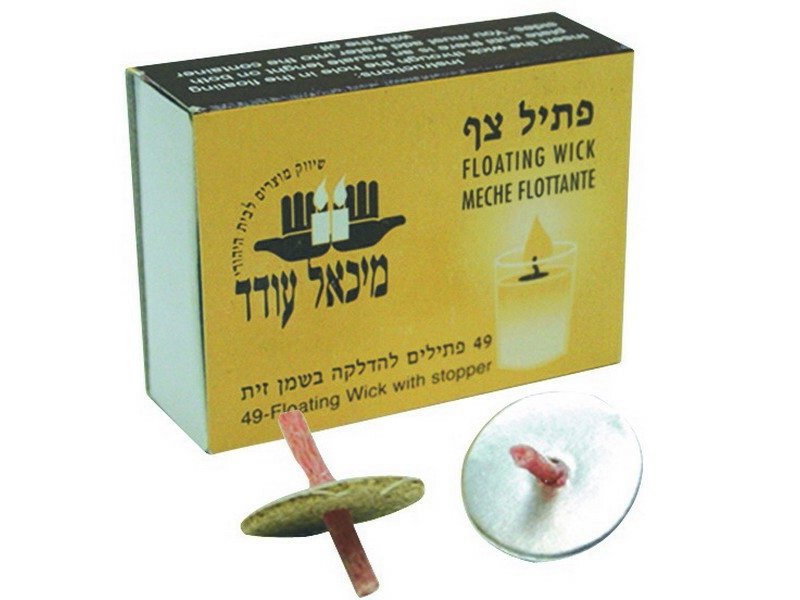 These “floating wicks” by Pitil Tsaf are used by those who opt to use oil for their Shabbat and holiday candles. The floating round shaped fireproof base has a small hole in the center where a wax coated wick is inserted. The base floats atop of the oil safely, holding the wick in its place. The base serves as a buffer between the flame and the oil holder and prevents the flame from coming too close to the glass. Made in Israel. Each box contains 49 round shaped floating bases and wicks.